A modular system for light helicopters, capable of producing 220W of output power. Designed and built for demanding environments. AEM designed the 200-watt Public Address and Siren System for light, small-piston engine helicopters such as the Robinson R22/R44 and Schweitzer 300. 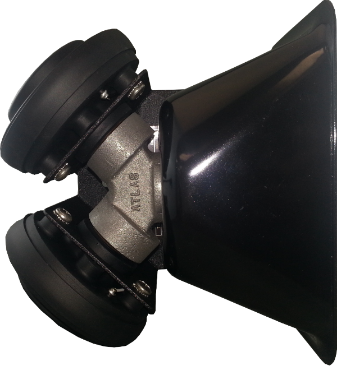 Broadcast clearly and effectively with a typical target distance of 200-300 feet. Designed for functionality, our modular system is capable of producing 220W of output power.